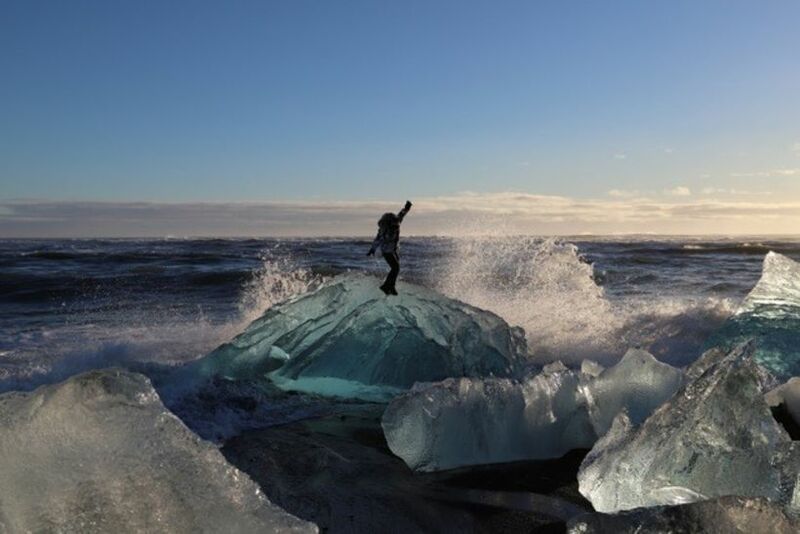 A tourist got into deep trouble yesterday at the Diamond beach near Jökulsárlón glacial lagoon when he became stranded on an iceberg amidst strong waves. 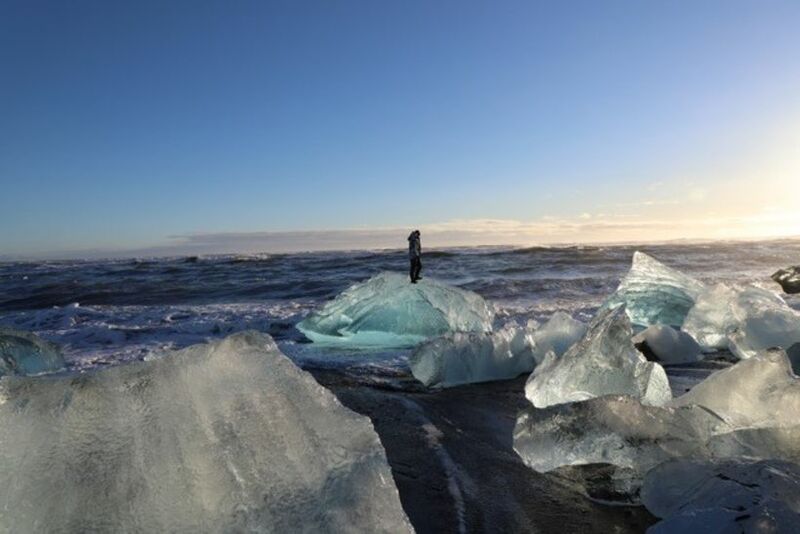 The tourist got onto the iceberg so that his companions could take photos of him. 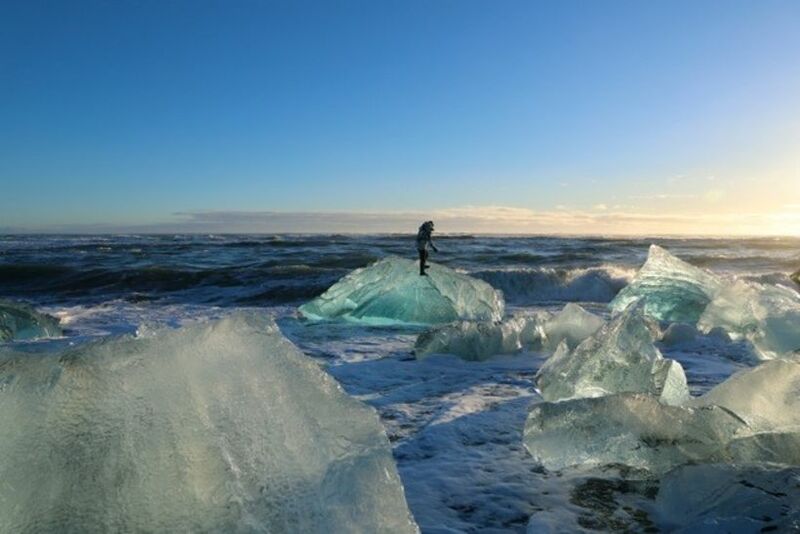 Tour guide Kristján E.Karlsson was at the location with a group of tourists and took photos of the stranded tourist. "He managed to scramble out of it. It was a dangerous game that he played, there were really strong waves," says Karlsson speaking to mbl.is and added that he couldn't have done anything to help him as he would have gotten into the same trouble. 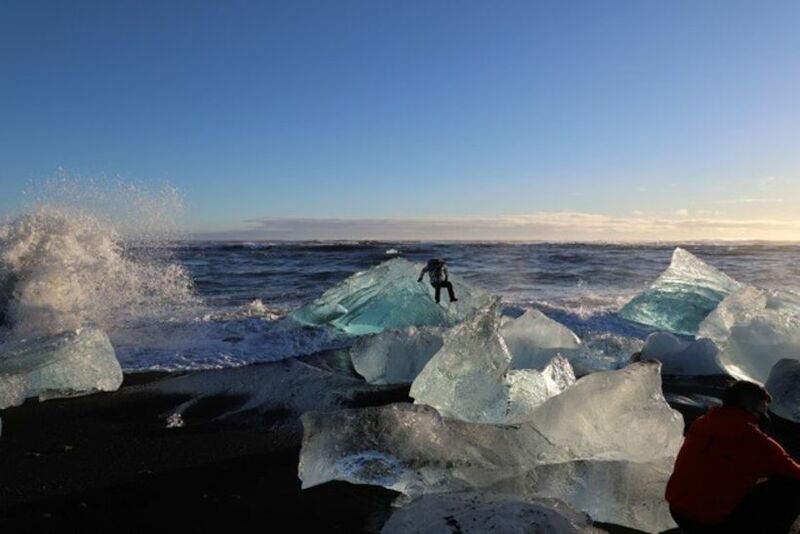 Karlsson says that this is almost a daily occurence on the Diamond beach and at Jökulsárlón that tourists show reckless behaviour. He adds that Asian tourists in particular show this behaviour. "Travel agencies send them out to the countryside to all kinds of trips, even self drive trips into conditions they are unfamiliar with, this is a nature hazard which they are not aware of." Kristján kveðst einnig hafa séð barn á ferð á ströndinni sem hafi blotnað. Öldurnar geti verið stórar, þó svo að þær séu ekkert í líkingu við þær sem skella á Reynisfjöru. Aðspurður segir hann að það hefði getað farið illa fyrir ferðamanninum á ísjakanum ef hann hefði dottið ofan í ískaldan sjóinn. 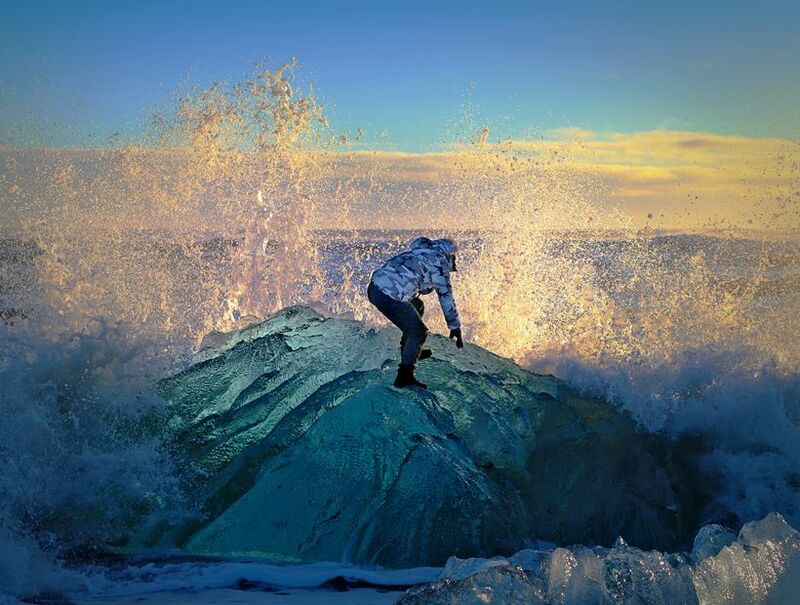 Alda hefði til að mynda getað tosað hann út, auk þess sem jöklarnir séu á hreyfingu, sem geti valdið mikilli hættu. Karlsson says he spotted a child on the beach which got wet when waves hit it. 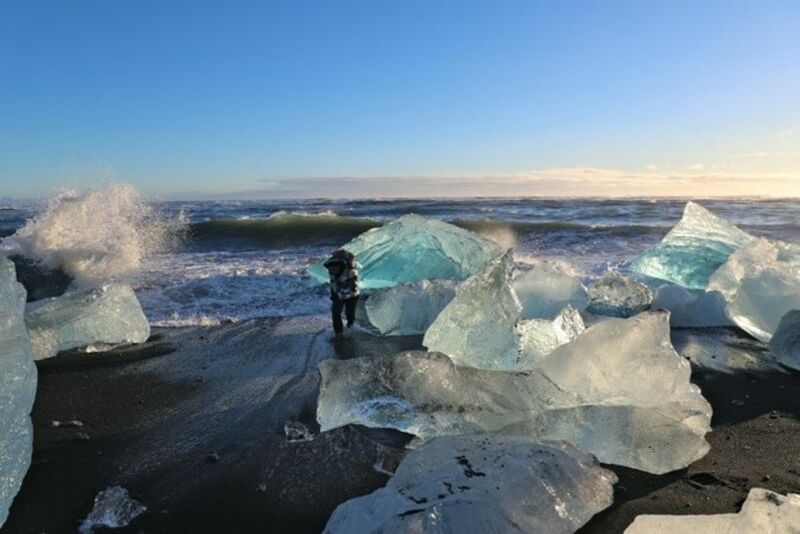 He warns that the waves at the beach can be really dangerous although they are not quite as dangerous as those of Reynisfjara beach. If the tourist had fallen into the freezing cold sea he could have been hit by an iceberg as they are constantly on the move.